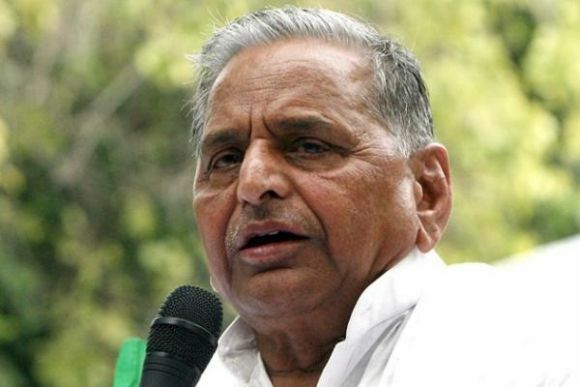 Samajwadi Party supremo Mulayam Singh Yadav has been admitted to a hospital in Gurgaon after he was suspected to be suffering from swine flu. The 75-year-old was admitted to the MedantaHospital late Friday night after he complained of breathlessness and uneasiness. “His samples have been sent for tests. He has symptoms of swine flu but nothing can be said as of now. Reports are awaited,” said a senior doctor at the hospital. In Lucknow, Samajwadi Party Spokesman Rajendra Chaudhary said Mulayam has been advised rest and there is no need to panic. “Mulayam Singh Yadav is being examined in MedantaHospital, Gurgaon under the supervision of Dr Naresh Trehan,” he said. “The party chief has been advised three days rest by the doctors and there is no need to panic with regard to his health,” Chaudhary added. Earlier this week, Yadav was admitted to the Sanjay Gandhi Post Graduate Institute of Medical Sciences in Lucknow and was discharged after an overnight stay in the hospital after some tests. On the advice of doctors, Yadav had stayed back in Lucknow during the Holi celebrations cancelling his plans to visit his native Saifai village in Etawah. Modi to call joint session of Parliament on March 14 to pass Land Bill?